Xiaomi Mi 5 tastes the Nougat flavor. Earlier this month, Xiaomi Mi Mix and Mi Note 2 received the Android 7.0 Nougat based MIUI 8.2 update. We had reported that the next in the line to receive this ROM would be the Mi 5. Adhering to the same, the 2016 flagship smartphone has received the MIUI 8.2 update. The build brings along an array of new features and redesigns to the phone besides the Android Nougat flavor. There is support for task automation IFTTT, a new security center, and a new desktop assistant. Xiaomi has added new system sounds for actions such as taking a screenshot, locking and unlocking the screen, and charging. A redesigned notification bar is also bundled with the MIUI 8.2. The update measures 1.3GB and you can either wait for it to be rolled out to your Xiaomi Mi 5 or download it manually from here. 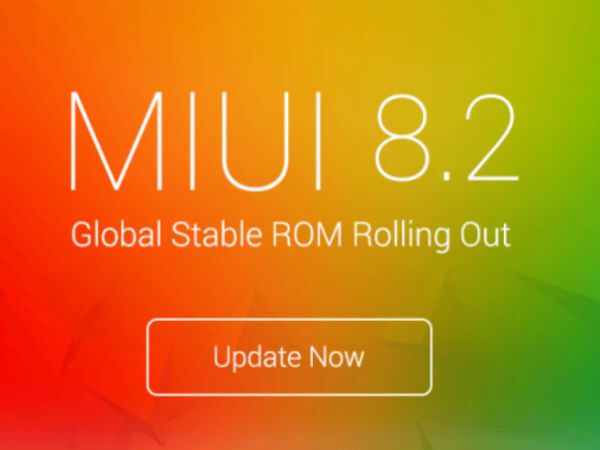 The global roll out of the MIUI 8.2 update remains unknown as yet and this one is meant for the Mi 5 units in China. On receiving the update, the Xiaomi Mi 5 is the only device from the Chinese manufacturer to receive the Android 7.0 Nougat update. Also, it is one of the most affordable smartphones running this latest iteration of the Android OS. We say affordable as it is priced relatively lower than the Nokia 6. Given the fact that the Nokia phone has a scarce availability (yet to be released globally) due to the high demand for it, the Mi 5 should be a good alternative.